I came across this photo recently when my husband was clearing off the pictures from his old phone. Instantly, I was back to that day, and I felt ill just looking at this picture. What you may see is a tired mom holding a two year old on her lap. The toddler is eating junk food. The mom doesn’t care, because just a few floors up, her newborn baby is in ICU. I didn’t know it meant removing half a lung. I didn’t know it meant immediate surgery. I expected consultations, discussions on what was best. I didn’t know we had no options or that our time was limited. Right about the time this photo was taken, I got up the courage to talk to one of our doctors during his early morning ICU rounds. I asked him about time. How much longer could my baby have made it in this condition? I expected to hear days, but I knew everything about my son’s condition was incredibly critical. Part of me wanted to know just how critical it all was. His answer? Hours or minutes. I almost lost my newborn baby. 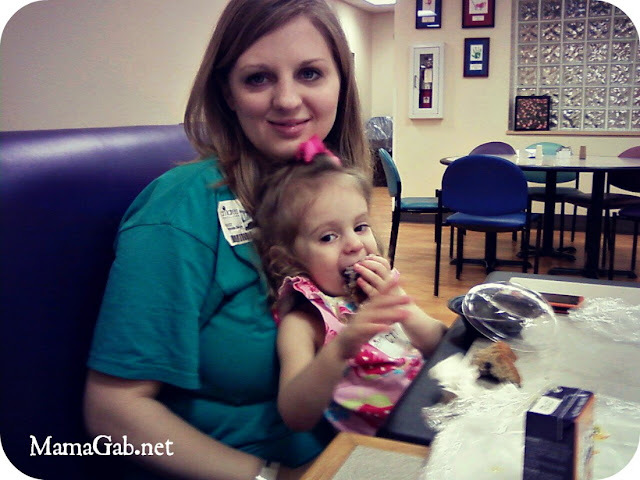 The moment you see in the picture is me, sitting in the hospital cafeteria with my 2 year old, who wasn’t even allowed on the ICU floor. I got to see her on weekends while my newborn was in the hospital. Isabelle was shipped off to various family members who cared for her sweetly while we focused on our newborn, Andrew. We got through that awful time by putting one foot in front of the other, doing the next important thing we had to do. I pumped breast milk on a strict 3 hour pumping schedule, breast milk my baby couldn’t even eat yet. He had IV fluids only for a few days, then breast milk through an NG tube. My husband and I slept on a small couch in ICU, more narrow than a twin bed. We wore paper isolation gowns over our clothes, even while sleeping, and at some point during the night, our nurse would cover us with lead vests while they zapped the day’s x-rays to see how Andrew’s lungs were healing. During the night, we would often wake up hearing our baby scream in pain. We prayed. I spent time reading my Bible and praying every single day. 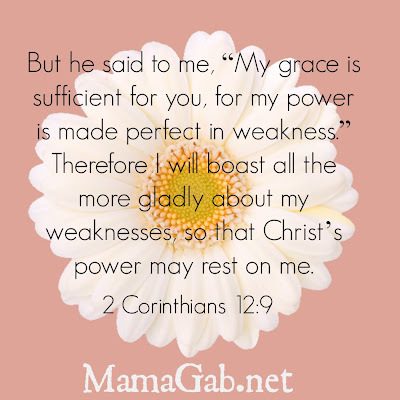 I needed strength from God so much. Family visited us from out of town constantly, and so did our church family. Some days I would exercise by going on walks around the perimeter of the hospital grounds, wearing sunglasses because I wasn’t used to seeing daylight. And the whole thing felt impossible sometimes. But in some ways, the worst part came two weeks later when we were discharged and sent home, where no x-rays were zapped. No professional nurses cared for him 24 hours a day. It was just us. Just me. Making sure he was doing OK.
And the emotions that flooded in were more than I was prepared for. It’s that topic we don’t want to talk about; it’s a topic that I don’t want to talk about. I’m too blessed to be depressed, right? Maybe. But maybe it’s a normal response to life trauma, and maybe if we talk about it, we’ll know that we’re not alone. 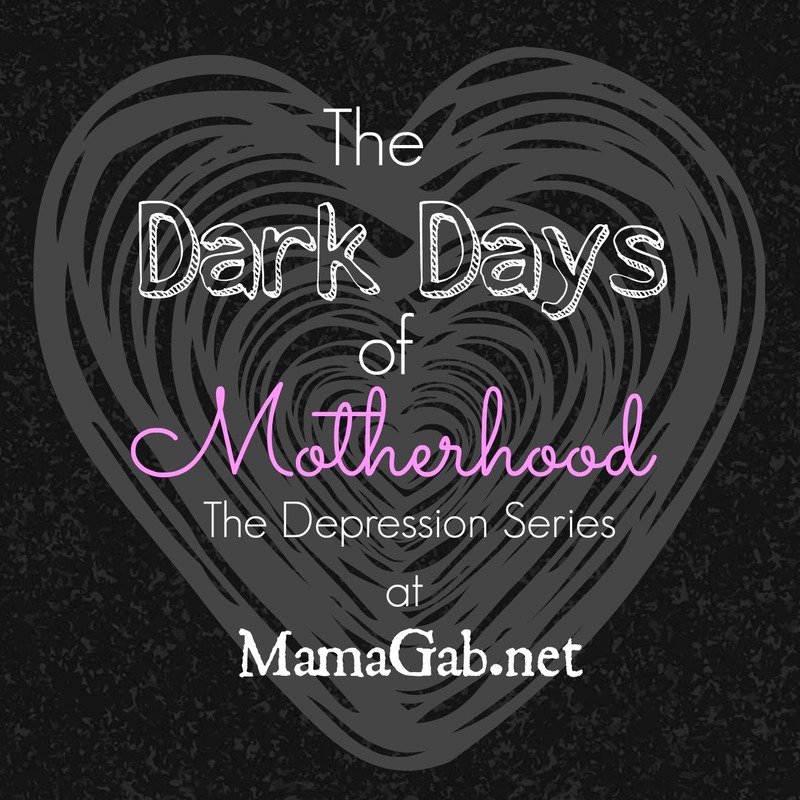 Yes, mama, you can be grounded in the Word of God and still experience depression. I used to think this was impossible. Now I know better. Was mine post-traumatic stress disorder? I really fit that definition as well. In addition to the hopelessness and other emotional issues I was having, I continued having flashbacks of the events for more than a year after the ordeal. Sleep was the biggest challenge. I asked a couple of medical professionals and they said it would be normal to experience either or both after all we’d gone through. The definition didn’t matter; what mattered to me was that symptoms were so tough. I’d never experienced anything like that before. I’m going to share what it was like, how we dealt with it, and how I came out of it with more joy, a deeper love for Christ, and even more in love with the Word of God. Because that’s how I got through it. No Pollyanna-isms. I promise. Just a real life struggle with a real life problem, with a God who is bigger than all of this. I’ll also share with you how I fight this battle on a regular basis, how I handle thoughts and situations that I know could send me back to Depressionville in a heartbeat. Because I don’t want to go back. Quite frankly, in many ways, I don’t want to talk about this. It’s hard, it’s brutally honest and real, and I also know that some women have had it worse. Far worse. But one of my goals is to write authentically and transparently so that others can be encouraged by my challenges and struggles. And I’ve had enough women say How did you get through it? to know that I need to talk about this. We need to talk about this. So let’s do it. Your turn: Have you walked this journey too? Glad to know you’ve been through it too, even though I hate you had to deal with PPD. Thanks for the encouragement. I look forward to hearing your story too. Thank you so much for sharing. I’m currently recovering from Post Traumatic Stress Disorder. I had a series of traumatic incidents that led to depression. It has been a challenging time. I encountered quite a bit of stigma to be a Christian yet to suffer from depression. However, my saviour is greater than everything, including depression… it took time and prayer but He truly did deliver me. Thanks once again for sharing. It is brave, bold, and essential for Christians to be honest about their real-life experiences. Thanks, Jennifer! I’m so glad you’re recovering and doing better as well. God was so gracious to not only heal my baby, but heal me as well. I’m glad I’m no longer in that state. Time and prayer (and a few other essentials that I will write about) were huge in my healing as well. God is good…so good. I’m so sorry you had to experience this, so glad your little guy is ok now:) Thank you for being so honest and real…looking forward to reading more! anything is better with a baby in it – hang in there! Thanks! Thankfully, God has been gracious to pull me out of that fog. Thanks for sharing. My son feel out his window when he was 5 and and has a plate in his head. It does get better. One day at a time. Oh my, how scary! I’m so glad I’m no longer in that state of depression, but it was very much a process. This is such a great post, I can’t imagine having to deal with what you went through. How’s your baby doing now? I’m sure there are many who can relate with the depression, this will be helpful to so many other mothers out there! I love your story. I think as all mothers have been through something like this. I gave birth to 6 children, so I know what that depression feels like. I know what it feels like to almost loose a child as well. 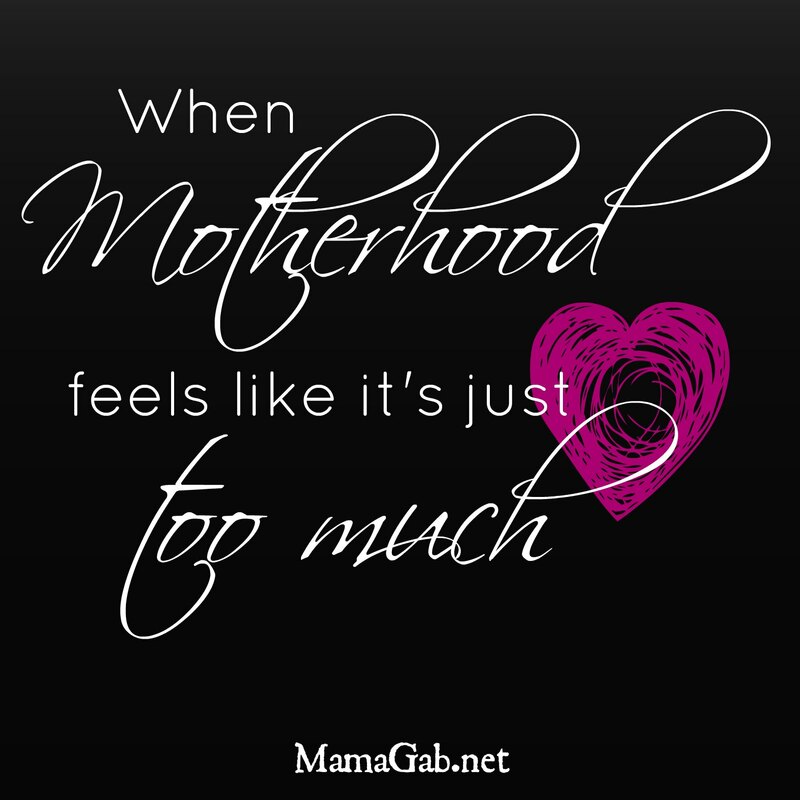 I had twins (my 4th & 5th child), one I almost died giving birth to them (my blood pressure dropped to 0/50), then my baby girl had the cord wrapped around her neck 3 times and her placenta was breaking down. They were in NICU for 4 days (lucky) but came home on heart monitors and wore them for 3 months. I thank God everyday for each one of my children, they are ALL blessings from the Lord. That sounds terrifying, Kristin! I can’t imagine having to deal with the monitors on such tiny little babies. Your blessings were worth it. What a story, and your honesty is AMAZING! very heart warming story and i like your courage and being a parent is not that easy. i wish you good luck and more love. Ahh the NICU. One of the most heart-wrenching places on the face of the earth. Is your baby okay now? It seems we have lots in common. 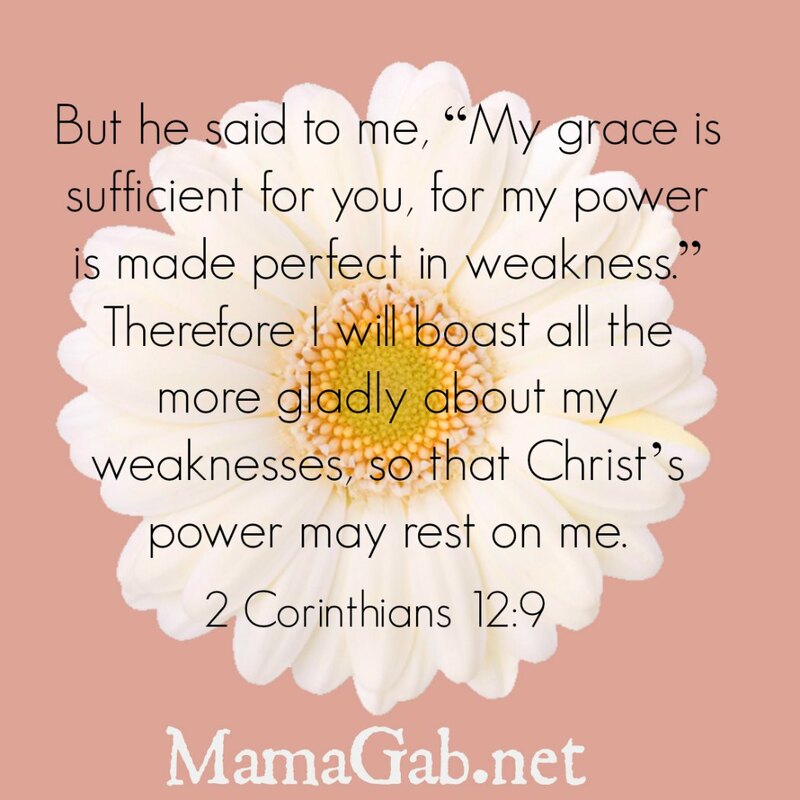 I cannot stand the saying, “too blessed to be depressed.” I was just sharing with my women’s Bible study group yesterday that just isn’t true. I had a several-months long depression earlier this year. Looking forward to reading more of your posts. I walk the road every single day! I fight depression with every fiber of my being! Mine started 5 years ago when my 1st born spent 7 days in the NICU right after he was born. It has been an uphill battle ever since. Bless you for writing about this! It is a tough subject that so many of us face daily. Thank you for breaking the silence! Oh yes, I have been there. Not because of a traumatic experience with our children, but I’ve still been there. I truly appreciate your honesty. Looking forward to hearing more. Thank you! We have three littles, two years apart each, and the older two have severe speech and language processing disorders. Chuckle…. Yeah…. Im with you 🙂 Bring this in to the light, my dear. So many people struggle alone and need validation and encouragement. Sometimes it’s hard to fight the good fight if you feel like youre fighting alone or you wonder if everything youre going through might “not be that bad”, “you should just toughen up” or (worst) it’s your fault somehow, etc. etc..
You are so right, Anita. Thanks for the encouraging words. It’s important to share our struggles.